Welcome to the Winners Choice Gift Card Giveaway! 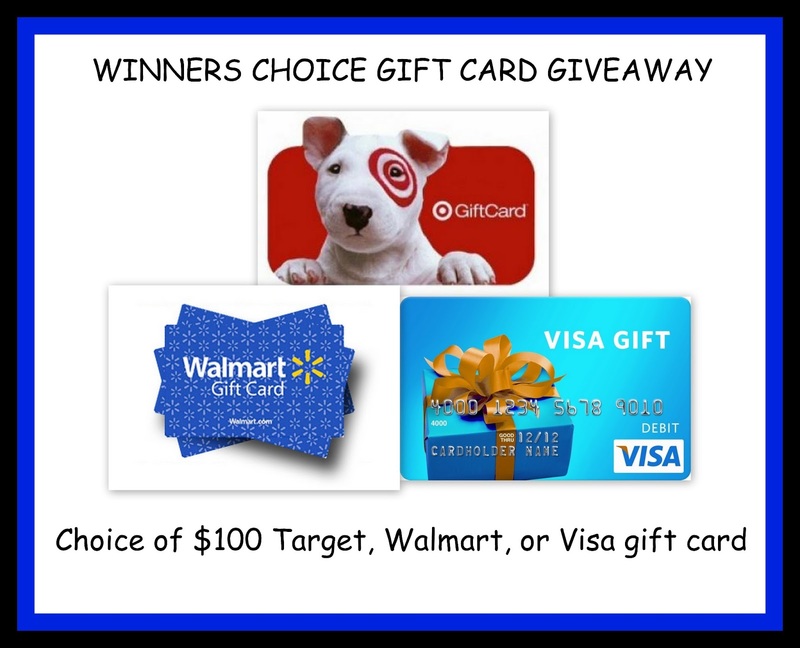 One lucky winner will receive their choice of a $100.00 Target, Walmart, or Visa gift card! Enter via Rafflecopter Below GOOD LUCK! ◀ DIY: Remove tarnish from your silver in 5 minutes! I’d use to buy a countertop dishwasher.